Digital Reality has pulled the veil off of one of Sine Mora‘s heroes and its…a cigarette smoking cougar that also happens to be quite the gentleman. Or maybe its a bear? 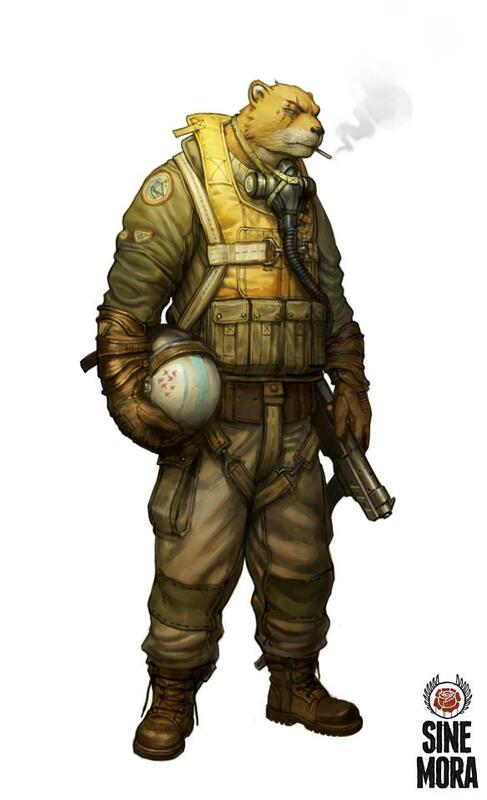 Whatever it is, his name is Argus Pytel and he knows a thing or two about flying planes. If you need a reminder about what Sine Mora is, check out this ten minutes of wild shoot em’ up gameplay from this collaboration between Digital Reality and Grasshopper taken back at Gamescom.